The list of 1oo successful cloud computing companies that newly released by Forbes might have the best cloud computing service for your business. To meet the top 100 private cloud computing companies leading cloud computing In 2016 from below list. 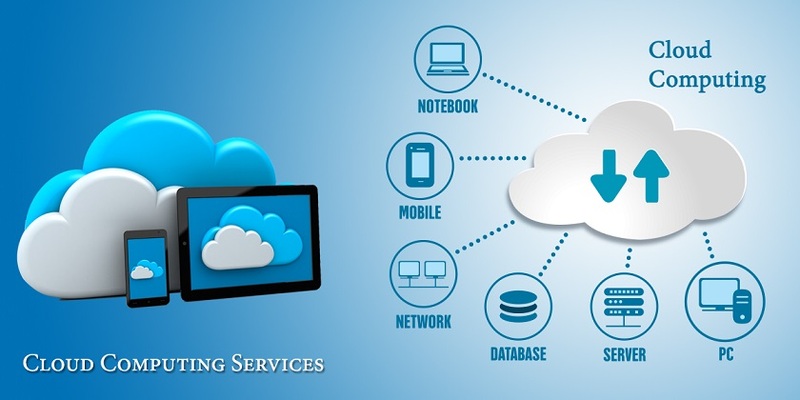 The cloud computing has become a significant part of the businesses. These days, most of the businesses are cloud-based usually the startup. There are several start-up companies which are providing cloud-based services ranging from messaging and accounting to construction and security. Since the cloud computing business is increasing day by day, it is necessary to know about the top 100 cloud computing companies, information about them, their raise, and their CEOs. So, in this article, we’ll discuss the top 100 cloud computing companies. If you need to know more about cloud computing technology, read the cloud computing infrastructure key concepts. This is a research report by Forbes website that shows the top 100 successful business based on cloud computing technology. On the top of this list 100, private cloud computing companies in the world are Slack, the team messaging and collaboration software company with 3 million users and a $3.8 billion valuation. It’s followed by file-sharing leader Dropbox at No. 2, e-signature company DocuSign at No. 3, payments company Stripe No. 4 and data management shop Cloudera at No. 5. Slack is the leading among cloud computing companies. It was founded in 2013 by Stewart Butterfield and has employee strength of 81. Its headquarters is in San Francisco, California. Recently, news shows that Microsoft is planning to unveil its Slack competitor at an Office event in New York City next week. Originally dubbed Skype Teams internally, Microsoft will launch the service as Microsoft Teams once it’s broadly available for businesses and schools to make use of. Just like Slack, it’s a web-powered chat service that’s designed for teams of colleagues or school classes to collaborate. DropBox is another big fish in cloud computing companies. It is a file hosting service headquartered in San Francisco, California. It was founded by Drew Houston and Arash Ferdowsi. The valuation of Dropbox is considered to be between $5- $10 Billion. It provides digital signature and digital transaction management service and is headquartered in San Francisco, California. It was founded by Tom Gonser in the year 2003. The valuation of the company is estimated to be around $3 billion. It is an American Company which accepts payment over the internet. It provides technical fraud prevention service. The CEO of the company is Patrick Collison and has a total employee strength of 547. The Cloudera is an American based Apache Hadoop-based software service and support. This company was founded by Christophe Bisciglia, Amr Awadallah, and Jeff Hammerbacher. There are around 1400 employees in the company. It is an Online Survey development and cloud-based software service providing company. It was founded in 1999 by Ryan Finley. Its CEO is Zander Lurie. It has revenue of around $113 million. Another big fish of cloud computing companies that provide email marketing services. It is an email marketing company, and is based in America and was founded in 2001. The CEO of the company is Ben Chestnut. There are more than 500 employees in the company. Related article to MailChimp: Integrate MailChimp Email Marketing with a Web Site. It is SaaS-based CMS integrated to website builder, hosting service and blogging platform. It was founded by Anthony Casalena, and he is the current CEO of the company too. There are around 580 employees working with it. It is an American based application performance management and IT operations analytics company. The company was founded by Jyoti Bansal in the year 2008. The CEO of the company is David Wadhwani and has annual revenue of US$ 143.8 million. Adyen is a global multichannel payment company which offers businesses and outsourced payment solutions. It was founded in 2006 and is headquartered in Amsterdam, The Netherlands. It has annual revenue of $130 million and has the strength of 450 employees. It is a US based company which provides content delivery network, internet security, and distributed domain name services. It was founded in 2009 by Matthew Prince who is the CEO, Lee Holloway, and Michelle Zatlyn. It is a private research software company based in Provo, Utah. It was founded in 2002 by Scott M. Smith, Ryan Smith, Jared Smith, and Stuart Orgill. Ryan Smith is the CEO of the company, and more than 1000 people are working in it. It is a privately owned endpoint security and system management company headquartered in Emeryville, California. It was founded in 2007 by David Hindawi and Orion Hindawi. Orion Smith is the CEO of the company. The GitHub is a web-based Git Repository Hosting service. It was founded in the year 2008 by Tom Preston-Werner, Chris Wanstrath, and PJ Hyett. Chris Wanstrath is the CEO of the company. There are around 605 employees. It is a foundation for secure connections between people and technology. It was founded by Todd McKinnon who is the CEO, and Frederic Kerrest. It is a company that develops technology business management software as a service application. It was founded in 2007 by Sunny Gupta who is also the CEO and Kurt Shintaffer. There are around 501-1000 employees in the company. The Coupa is a cloud-based spend management software company which is located in San Mateo, California. It was founded in 2006 by Dave Stephens, Noah Eisner. Rob Bernshteyn is the CEO of the company, and there are 800 employees. Domo is an American computer software company based in American Fork, Utah. It provides business intelligence tools and data visualization services. It was founded by Josh James who is also the CEO of the company. The Fuze is a cloud-based Unified Communications as a Service. The company is headquartered in Cambridge, Massachusetts. It was founded in 2006 by Steven Kokinos who is the CEO and Derek Yoo. There are around 700 employees. It is a software company based in San Francisco, California. It was founded in 2006 by Ross Mason and Dave Rosenberg. Greg Schott is the President and CEO of the company. It a cloud-based company whose platform optimizes programmatic online advertising. It was founded in 2007 by Brian O’Kelly, the CEO, and Michael Rubenstein. There are more than 1000 people working with the company. It provides Software-as-a-service (SaaS) Customer experience management and enterprise feedback management services. It was founded in 2001 by Borge Hald, the CEO, and Amy Pressman. It is an American computer software company based out of Irvine, California. It was founded in 2010 by Dean Stoecker, Olivia Duane Adams, and Ned Harding. There are around 300 employees in the company. It is a global cloud-based information security company that provides internet security, web security, etc. It was founded in 2008 by Jay Chaudhary, the CEO, William Welch, Atri Chatterjee, Amit Sinha and Kailash. It has more than 500 employees. It is a security company based in Waltham, Massachusetts. It provides endpoint security software that detects malicious behaviour. It was founded in 2002 by Patrick Morley, the CEO. There are more than 500 employees. It is a cloud-based software company founded in 1984 by Anant Yardi. It is headquartered in Santa Barbara, California. Anant Yardi is the CEO of the company and has the strength of 5000 employees. It is a cloud-based business modelling and planning platform for sales, operations, and finance. It was founded in 2006 and is based in San Francisco, California. The Avalara is a privately held company headquartered in Seattle, WA. It was founded by Rory Rawlings. The AppDirect offers a cloud service marketplace and management platform. The global network of AppDirect powered marketplace allows businesses to find. Buy, and manage the best application. It is a software service company established by Jay Batson and Dries Buytaert. It is headquartered in Boston, Massachusetts. It has revenue of around $100 million, and there are 800 people working with it. It is a company that offers a total outsourced solution. It also provides one with single or multiple trades that can evolve into a total outsourced solution. It is a company that develops and markets a social software platform, also called Sprinklr. It was founded in 2009 by Ragy Thomas, the CEO.s there are around 1000 employees in the company. It is the first and most experienced provider of enterprise-class software designed to automate and control the entire financial close process. The ForeScout is a privately held network security company and is based in San Francisco. It was founded in 2000 by Oded Comay, Dror Compay, Hezy Yeshurun, and Doron Shikmoni. Michael DeCesare is the CEO of the company and has a strength of more than 650. It is a privately held online education company that offers a variety of video training courses. It was founded in 2004 by Aaron Skonnard, Keith Brown, Fritz Onion and Bill Williams. The MapR is a San Jose, California-based enterprise software company that develops and sell Apache Hadoop-derived software. HootSuite is a widely used platform for managing social media, which was founded by Ryan Holmes in 2008. It is headquartered in Vancouver, BC, Canada. It has more than 600 people working in the company. It provides the sales industry’s first comprehensive sales acceleration platform that creates high-performance sales team and the breakthrough technology. It is a construction project management software company headquartered in Carpinteria, CA. It was founded in the year 2003 by Craig ‘Tooey’ Courtemanche, the CEO and Steve Zahm. It is a company which provides interoperable cloud-based video communications service that connects participants across a wide range of devices and platforms. It was founded in 2009 by Krish Ramakrishnan and Alagu Periyannan. It is an American cloud company which provides cloud infrastructure based in New York City. It was founded in 2011 by Moisey Uretsky, Ben Uretsky, Jeff Carr, Alec Hartman and Mitch Wainer. It’s best for developers in this list of cloud computing companies. It is a web development company founded in 2005 by Matt Mullenweg, the CEO. The company is headquartered in San Francisco, California. It is a private company providing a cloud-based field service management solution for technicians, managers, and executives. It was founded in 1999 by David Arnold the CEO, Athani Krishna Prasad, and Hari Subramanian. It is a global marketplace for live experiences that allow people to find and create events. It was founded in 2006 in San Francisco, California. Julia Hartz is the CEO of the company and has a strength of more than 500 workers. It is a company that develops and delivers a suite of online solutions for healthcare providers in ambulatory, acute and post-acute settings. 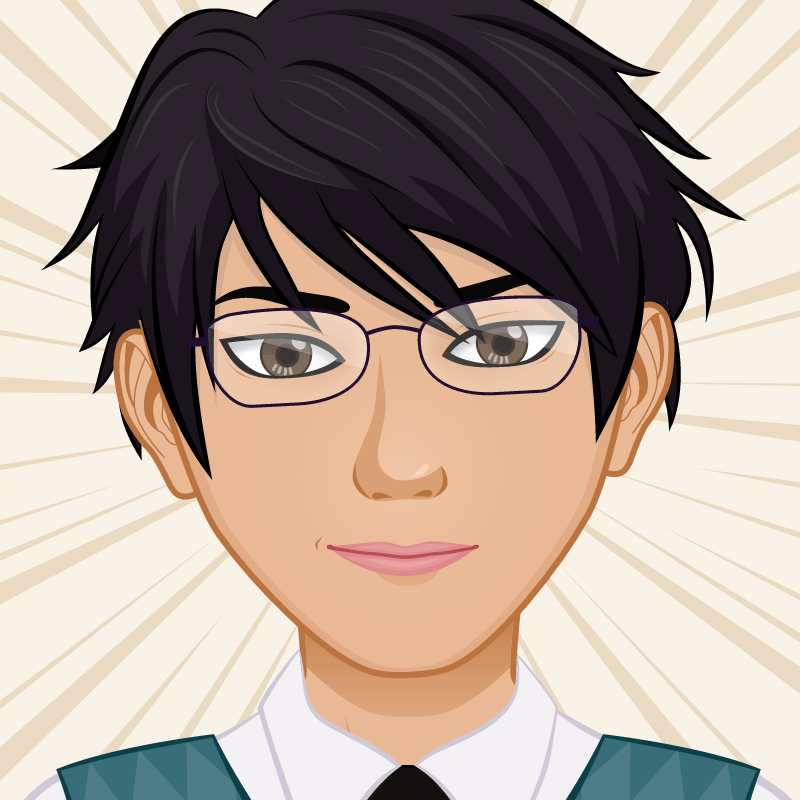 Mark A. Pulido is the CEO. It provides cloud-based software solutions for the senior care industry in North America. It was founded by Michael Wessinger, the CEO, and David Wessinger. It is a SaaS-based monitoring and analytics platform for IT infrastructure, operations and development teams. It was founded in 2010 by Olivier Pomel and Alexis Le-Quoc in New York City. It is a healthcare analytics company headquartered in New York. It has 303 workers and has raised a fund of $328 million. It is a payroll software company headquartered in San Francisco, CA. It has 300 workers along with CEO Joshua Reeves. It has raised funds around $161 million. It is a business intelligence software company headquartered in New York. It has 250 workers with CEO Amir Orad. It has fundraised of $100 million. A data backup and recovery company, based in Baar, Switzerland. It has the headcount of 2225 workers with CEO William H. Largent. It is a cloud security company founded in San Mateo, CA. It has fundraised of $116 million. The CEO is Barmak Meftah. An IT incident resolution company based in San Francisco, CA. It has the headcount of 220 workers along with CEO Jennifer Tejada and has fundraised of $39.8 million. It is a customer success software company based in Redwood City, CA. It has fundraised of $104 million. The CEO is Nick Mehta and has 385 workers. A note capture and sync company based in Redwood City, CA. Fundraise is $290 million. CEO is Chris O’Neil. It is an App security company headquartered in Ann Arbor, MI. Headcount is 300 and fundraising are $49 million. CEO and co-founder are Dug Song. It is a healthcare analytics company based in Salt Lake City, UT. Headcount is 460; fundraising is $235 million, and the CEO is Dan Burton. A content delivery network. Based in San Francisco, CA with a fundraising of $130 million. CEO is Artur Bergman, also the founder. A database software company with a fundraising of $191 million. The CEO is Billy Bosworth, and headcount is 425. A project management company with fundraising of $88 million. CEO is Dustin Moskovitz, and headcount is 215. It is subscription management company with fundraise of $250 million based in Foster City, CA. CEO is Tien Tzuo with total 630 workers. An App security company with fundraising of $134 million. Based in Burlington, MA with headcount 465 and CEO is Bob Brennan. A financial planning software company with fundraising of $176 million. Based in Palo Alto, CA with the headcount of 475 people and CEO Tom Bogan. An online productivity site based in Chennai, India. The CEO is Sridhar vembu with a headcount of 4000 people. It is Quote-to-Cash software based in Mateo, CA. CEO is Kirk Krappe with the headcount of 1300 and fundraising of $108 million. It is a recruitment software company headquartered in New York. CEO is Daniel Chait with a headcount of 208 and fundraising of $60.3 million. An App optimization company headquartered in San Francisco, CA. CEO is Dan Siroker and headcount is 350 with fundraising of $142 million. Recruiting software headquartered at Matawan, NJ with CEO being Colin Day. Headcount is 550. It is a project management company with fundraise of $33 million. Based in Lehi, UT, the CEO is Alex Shootman with headcounts being 671. A virtualization company based in Boston, MA with a fundraising of $77.5 million. The CEO is Benjamin Nye, and headcount is 430. It is a call centre software company. Based in Basingstoke, the UK with fundraising of $141 million and headcount 372. The CEO is Jonathan Gale. A design software company based in New York. CEO is Clark Valberg with fundraising of $135 million and headcount of 220. A project management company headquartered in Bellevue, WA. The CEO is Mark Mader with a capital increase of $69 million and headcount of 389. An Analytics APIs company based in San Francisco, CA with CEO Peter Reinhardt. The fundraising is $47 million, and headcount is 100. It is a call centre software based in San Francisco, CA. The CEO is Tiago Paiva with fundraising $24 million and headcount of 201. Another successful email marketing in our list, cloud computing companies. It is an Email marketing company headquartered in Denver, CO. The CEO is Sameer Dholakia with fundraising of $48 million and headcount of 300. A cloud security company based in Sunnyvale, CA. The CEO is Andrew Rubin with fundraising of $142 million and headcount of 160. It is an accounting software company based in Charlotte, NC. The CEO is Michael Praeger and fundraises $225 million with the headcount of 800. It is a business app builder company headquartered in New York. The CEO is Charles Phillips with the headcount of 15000. An app analytics company based in San Francisco, CA. The CEO is Suhail Doshi with fundraising of $77 million and headcount of 230. It is a mobile security company based in San Francisco, CA. The CEO is Jim Dolce with fundraising of $280 million and headcount of 330. A video conferencing company headquartered in San Jose, CA. the CEO is Eric S, Yuan with a fundraiser of $45.4 million and headcount of 390. It is an analytics company based in Redwood City, CA. The CEO is Ramin Sayar with fundraising of $160 million and headcount of 250. It is an expense report software company based in San Francisco, CA. The CEO is David Barrett with a fundraising of $27.2 million and headcount of 101. It is a human resource software company based in New York. The CEO is Matt Straz with fundraising of $107 million and headcount of 324. A job search platform company based in Santa Monica, CA. The CEO is Ian Siegel with fundraising of $63 million and headcount of 400. An Accounting software company based in San Jose, CA. The CEO is Robert Reid with fundraising of $100 million and headcount of 400. It is an email marketing company based in San Francisco, CA. The CEO is Alex Bard with fundraising of $250 million and headcount of 250. It is a CRM software based company in Cupertino, CA. The CEO is Larry Augustin with a fundraising of $104 million and headcount of 475. An app analytics company based in San Francisco, CA. The CEO is Bertrand Schmitt with fundraising of $157 million and headcount of 450. It is a cloud security company headquartered in Los Altos, CA. The CEO is Sanjay Beri with fundraising of $131 million and headcount of 350. It is a user experience company headquartered in San Francisco, CA. The CEO is Dan Adika with fundraising of $92.5 million and headcount of 300. It is an online commerce company based in Austin, TX. The CEO is Brent Belim with fundraising of $160 million and headcount of 420. A social media management company based in San Francisco, CA. The CEO is Rob Tarkoff with fundraising of $150 million and headcount of 400. It is a healthcare analytics company headquartered in Emeryville, CA. The CEO is Andy Hurd and has a headcount of 369. It is a cloud security company based in Campbell, CA. The CEO is Rajiv Gupta with fundraising of $66 million and headcount of 305. It is an Ad tech company based in Needham, MA. The CEO is John Roland, and fundraising is $97 million, and headcount is 850. It is an App manager software based in Waltham, MA. The CEO is John Van Siclen with the headcount of 1500. The above list mentions the necessary information regarding the top 100 cloud computing companies. The succeed of these cloud computing companies might inspire you to migrate your business to cloud computing service. Most cloud computing companies are publishing their success on their website blogs about using benefits of cloud computing technology. So that this article is just a simple of those cloud computing companies.